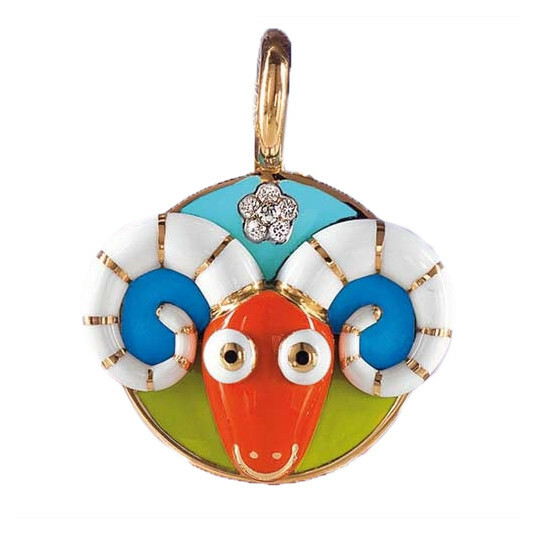 The Zodiac Collection by Aaron Basha features this stunning Aries charm to represent the birth of your child. Add this Aaron Basha Zodiac Charm to your charm bracelet for a personalized and chic style that will be cherished for a lifetime! Copied by many, but this is the original.